Ranu Mukherjee makes bodies of work and large-scale installations by combining drawing, painting and print on fabric or paper alongside video, animation and choreography. 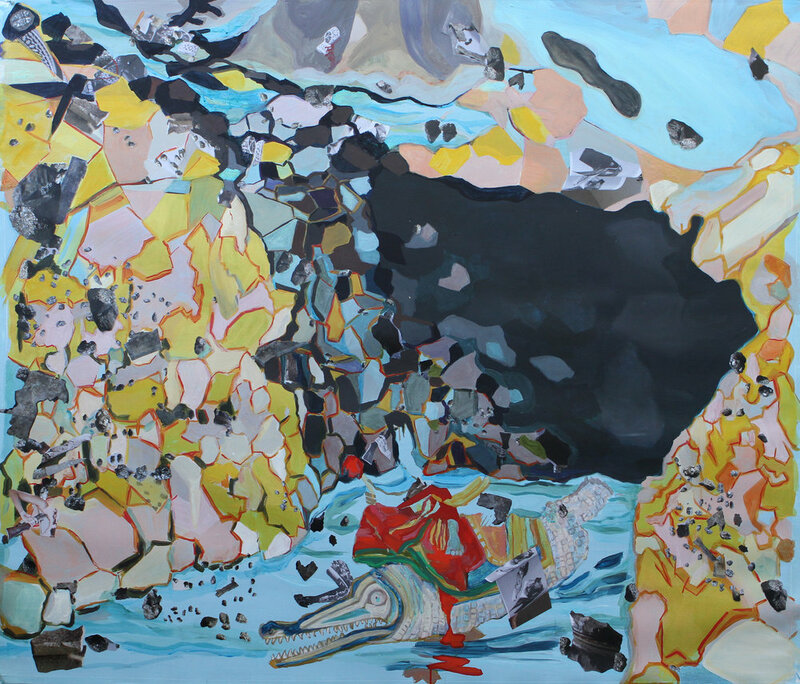 Her work is marked by a deliberate use of saturated color, layering or collision of tempos, and bodily materiality. Her art evokes questions of visibility and abstraction, intensified by the algorithmic distribution of news images and information. In recent projects, she explores the present as the confluence of tension between colonial legacy and indigenous power. 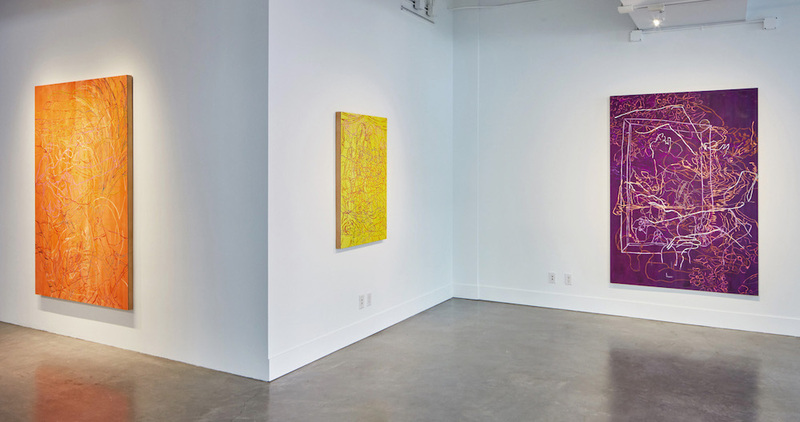 Mukherjee has had solo exhibitions at the de Young Museum, San Francisco, the Los Angeles County Museum of Art; the Asian Art Museum, San Francisco; the San Jose Museum of Art, San Jose, CA; and the Tarble Art Center, Charleston, IL, among others. Her work is featured in collections such as the Asian Art Museum, San Francisco; the Oakland Museum of California, the Kadist Foundation, San Francisco and Paris; the San Jose Museum of Art, San Jose, CA; the JP Morgan Chase Collection, New York, among others. Mukherjee co-created Orphan Drift, an artist collaboration making combined media works, in London in the 1990’s. She has participated in numerous exhibitions and screenings internationally including in London, Oslo, Berlin, Oberhausen, Glasgow, Istanbul, Vancouver, Santiago, Capetown, and the Bay Area.